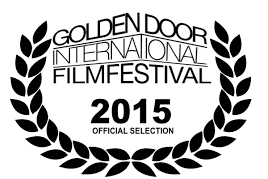 Official Selection of Golden Door International Film Festival! We are excited to announce that our short film, Pillow Talk, about love and betrayal, is an official selection of Golden Door International Film Festival, founded by Bill Sorvino! See you in Jersey City in September! Yes! Since you’re a friend, I’m happy to email you the unlisted YouTube link! Pillow Talk is only 11 minutes 52 seconds long! Let me know if you’re interested and I’d be happy to send along to you! Ok awesome – I will do that right now!